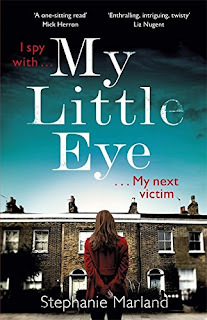 I consider myself a fan of Steph Broadribb's Lori Anderson series, so I was really excited to see Steph releasing her latest book, My Little Eye, in the name of Stephanie Marland. I don't want to get drawn into comparisons with Broadribb and Marland or Anderson with Starke but I'm rather glad that Steph has written them under different names as both characters are strong individuals in their own right. I really liked the character of Clementine Starke. Aside from having such a cool name, she seems very vulnerable and damaged at first but blinking heck she's one tough cookie. I loved delving into her background as we get to know her as 'The Watcher' in an online crime group. 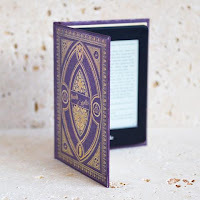 Clementine is writing her thesis and wants to prove that an online group of super sleuths can solve a murder case quicker than the police, led by DI Dominic Bell. Dom has his own demons to deal with as he's being investigated by the IPCC after Operation Atlantis didn't go to plan. He's being pulled in different directions as he attempts to catch a serial killer whilst dealing with bureaucracy. Clementine is accepted into a select group within True Crime London who attempt to catch a serial killer known as 'The Lover'. Clementine is studying the people in the group as much as she is trying to catch the killer. It is quite scary that anyone can create an online persona that is completely different to who they really are. Anyone can spin a web of lies on the internet to hide their true self so my heart was racing as the building of danger and suspense made me believe that Clementine could be in danger at every turn. Will she catch the killer before the killer finds her? Eeeek! What a fast-paced page-turner this is. It's something so completely different from a police procedural serial killer hunt with an unlikely group of true crime aficionados examining the evidence and looking for clues. 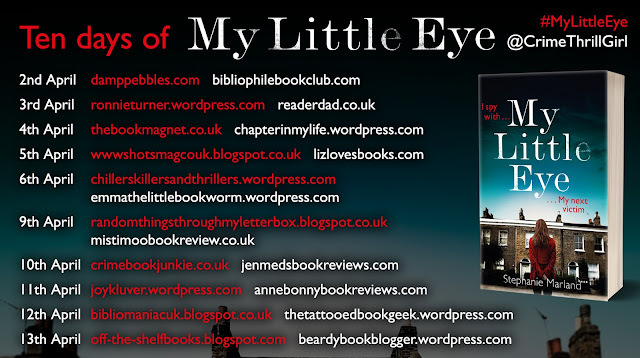 My Little Eye is so fresh and current; a brilliant whodunnit for the digital age. I loved it and can't wait for more Starke and Bell.